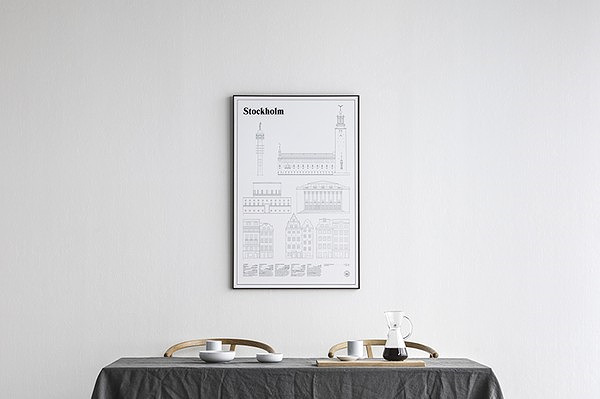 Studio Esinam is a creative studio based in Sweden, founded by an art director and architect duo who created Elevations, a series of city posters that have certainly made an impression in the world of interior design. The studio released three new prints recently- Stockholm, an addition of the Elevations series, Goteborg and Brooklyn to launch their new series Landmarks. "In our first print series elevations, we seek to capture the unique feeling of various cities around the world. Cities that most of us have some kind of relation to, but probably haven't seen in the format of architectural drawing. By studying the facades, directing attention to details that mostly pass unseen, we hope to touch upon qualities to the architecture that contribute to that specific feeling the city imposes on you." Now I will just be awaiting the release of the Toronto print to either of the Elevations or Landmarks series- patiently waiting I'm sure.